I'm getting this lamp and putting it on my desk with a Krispy Kreme donut or a piece of gooey butter cake in the spotlight's dead center. It will be the first time ever some a-hole doesn't steal my food at work. Because nobody F's with the Eye of Sauron. Even a 1:1,000 scale desk lamp Eye of Sauron. 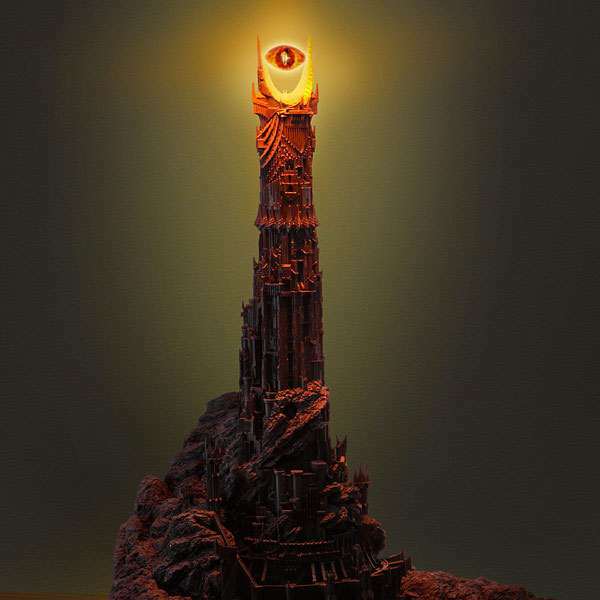 Mounted atop the Dark Tower, the Evil Eye sucked all hope from Frodo when he saw it. Us though, we're pretty stoked to see ThinkGeek bring this iconic Lord of the Rings masterpiece to life. As a functional, collector's edition desk lamp, no less. 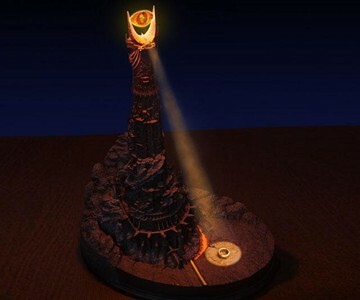 The illuminating Eye of Sauron and cascading tower are sculpted from polystone, coated with a protective layer of polyurethane, and then hand-painted to complete their soul-squeezing effect. Even better, the lamp's mechanical technology supports a user-set Auto Rove function, whereby the Red LED Eye can ominously move and rotate towards sounds. A terrific feature with which to leave an unknowing party alone in a room. 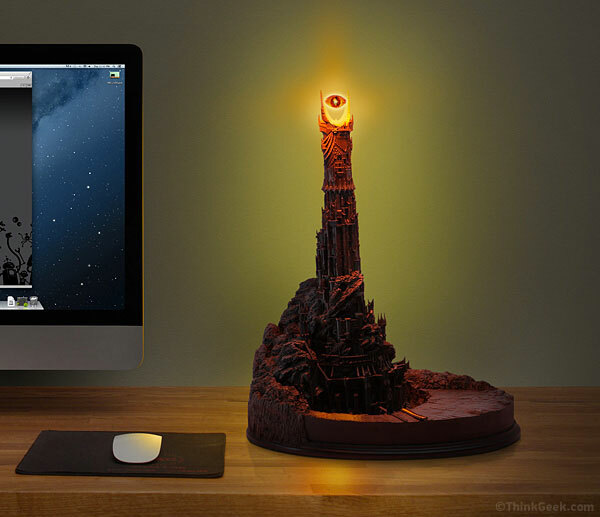 The Eye of Sauron desk lamp stands 21" tall and weighs a mighty 22 pounds. So best not to look at it directly or drop it on your foot.